Tronexus Global Sdn Bhd - a subsidiary company of Talk Focus Sdn Bhd and also the company behind the exceptional Tronexus’ simcard (the only simcard that allows its members to obtain income at their own pace and time using only their mobile phones), announced and kickstarted an exciting change in its special ongoing contest now in the form of a Tronexus Lucky Draw; in celebration of the festive Raya month with its loyal customers and supporters. Head to their website for more info. In the recent “Buka Puasa” event held as an expression of Tronexus’ appreciation and gratitude to their loyal members who supported them throughout the years, Tronexus is always seeking for a way to make their members’ journey with them as rewarding and beneficial as possible - where they can create their own opportunities and be successful together. 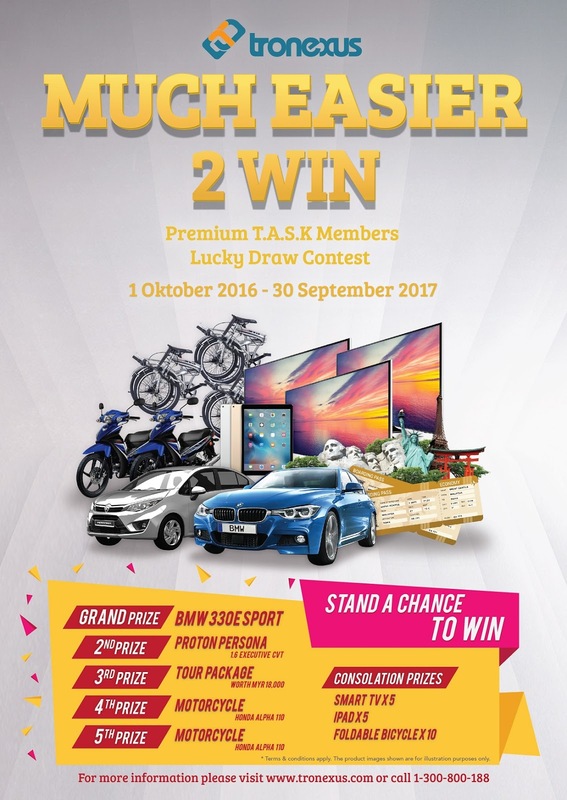 With the contest starting last October, the event highlight of announcement – the change of the contest mechanism to a “More Easier 2 Win” Lucky Draw (effective from now till 30 September 2017) have the guests all delighted in hearing of the simplified mechanism contest which will allow participants to stand a chance to win a BMW 330e sport - the grand prize of the Lucky Draw followed by the second prize of Proton Persona 1.6 Executive CVT. “After hearing most of the feedback from the members and a long consideration, Tronexus Management is now simplifying the contest mechanism by changing it into a Lucky Draw mechanism, and giving more benefit to our participants to win more awesome prizes,” said Dato’ Sri Eric Yap, CEO of Talk Focus Sdn Bhd during the “Buka Puasa” session. In this new contest mechanism, Tronexus Premium Member will be entitled for 1 Lucky Draw ticket for every successful referred Premium T.A.S.K member. Newly joined Premium Member or members who upgraded their current membership to Premium Membership will be eligible for 2 Lucky Draw Tickets, increasing their chance to win some of the great prizes. During Tronexus’ “Buka Puasa”, members were also introduced to Tronexus’ products while enjoying a sumptuous meal together organised by Tronexus itself. Dato’ Sri Eric said that Tronexus always values their members and will reward them constantly with referral bonus, performance bonus and leadership bonus throughout their business career. “Our business model allows our members to earn side income without having to sacrifice long working hours. With this model we are providing opportunities to housewives and even office workers who are looking to earn extra income but do not have the time to spare due to their busy lives and commitment. 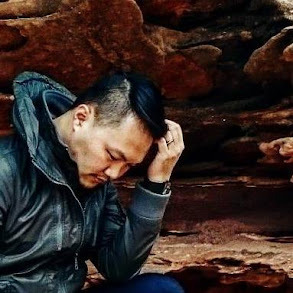 This model is based on our understanding of the current community and we are eager to be successful with them as we provide them with benefits and rewards for their support. By organising this “Buka Puasa” event, we want to sincerely expressed to our members our gratitude and appreciation of their support to us. Additionally, we hope this event can be a platform for them to socialize with other members, expand their connections, enjoy the delicious meal and giving them a satisfying experience,” added Dato’ Sri Eric. So if you are keen to win some prizes, perhaps it's time to head to Tronexus? Good luck!